The First Circle. An insight into the modern Chinese tea tradition. Tea. The Second Circle. An insight into the modern Chinese tea tradition. Basic brewing techniques and the choice of tea-ware. Tea-ware for Chinese brewing. The choice. Tea-ware for brewing of the tea leaf. Material. The Third Circle. Tea production and brewing history in China. The Fourth Circle. Modern methods of tea leaf processing in China. The Fifth Circle. Pin Cha Method of brewing Chinese tea (Video). Chazhidao (茶知道) — free Virtual Tea School. Our comprehensive course is a reliable guide into the wonderful world of tea. 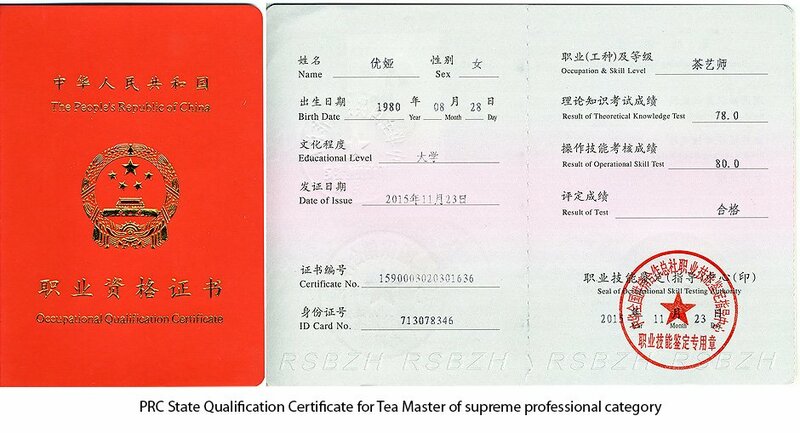 Studying with us you will not only get basic knowledge, but develop right understanding of the essential intricacies and subtleties of Chinese tea ceremony. Chinese tea ceremony is profoundly wide discipline. In our course, apart from studying varieties of teas and types of ceremonies, we will delve into its philosophy and cultural context from ancient times to modern China. We are going to share our new lessons every month. With us you will get an easy access to a selection of the most valuable materials about tea from major tea-portals of China, as well as from all over the world. In addition, soon we are about to complete our comprehensive catalogue of Chinese tea varieties, their producers and teaware. We’ll provide you with the right directions to navigate in the ocean of tea. Our news is kind and worth not to be missed! Sign up for our newsletter and become a Fan in our social networks. 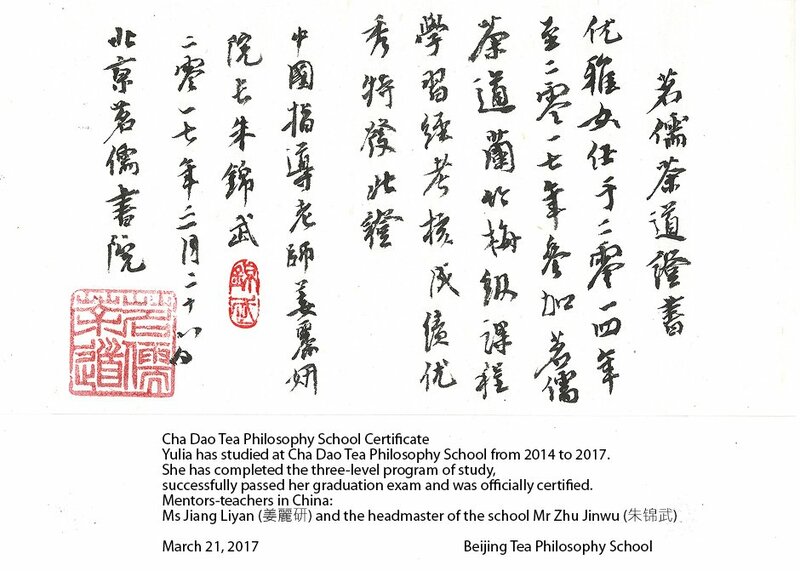 Yulia Khristolyubova — creator of the course, graduate of Ming Ru Tea Philosophy School, authorized teacher of Tea Art in Europe, China certified Tea Master, the head of the Chinese Tea Traditions School in Kiev, tea shop owner chayishop.com.ua. Alexander Tsybenko — programmer and website support. Olga Malyshok — Russian language editor of tea lessons. Stanislav Ryabokon — English translation of tea lessons up to 27th. Ivan Karaulshchuk — English translation of tea lessons after 29th. Our Chinese Teachers of Jianchashuiji Tea House, organizers of Ming Ru Tea Philosophy School: Mr Zhu Jinwu(朱锦武) and ms Jiang Liyan(姜丽研) — writers of books about tea, practicing Masters of Tea ceremony and the state teachers of Tea Art.